How much does EMTALA cost the US citizen? The price of the Emergency Medical Treatment & Labor Act. The EMTALA legislation means that by law a US ER department cannot refuse treatment. This means that the uninsured or those with insufficient assets to pay the bill are being treated. So who ends up paying the bill and how much is it? Although this report was commissioned by Families USA the research was carried out by the actuaries Milliman and the process is well document in the report and sound. Does “David Cameron” Spell the End of the Conservative Party? Copyright by World Economic Forum, swiss-image.ch/Photo by Remy Steinegger. Many Conservatives have been, lets say surprised, at the direction that their party, in coalition government, seems to be heading. But perhaps they should not be surprised. David Cameron has never been very popular with Conservative stalwarts such as Margaret Thatcher or Norman Tebbit and the reason for this is that David Cameron is a centrist. Now you could say that David Cameron needed to move the Conservative Party to the centre of British politics in order to take the party into Government. However Conservatives are now waking up to the fact that David Cameron has done a great job of anchoring the Conservatives firmly in the centre, possibly forever. With the 1922 Committee emasculated, over a 100 starry eyed, star struck new Tory MP’s and 50 odd Liberal Democrats at his disposal David Cameron holds the whip hand over the right of his Parliamentary party. How will Conservative activists in the Conservative heartlands react should very few, if any, of the policies that they hold most dear actually come to fruition? The thing is David Cameron does not care about the Conservative core vote and he is taking the Conservative Party away from them. It remains to be seen if the Conservative Party can survive this process. The Third Way Out of the LibDem Coalition Dilemma. None of the above. Get the Power off the Sofas and into Parliament Where it Belongs. All the talk is of the Liberal Democrats becoming part of a coalition government. The advantages and otherwise of all the possible coalition permutations have been discussed in their minutiae. The LibDem quandary is that forming any sort of coalition in the current circumstances is effective electoral suicide. The LibDems are ideologically incompatible with the Conservatives at the grass roots level. As for Labour, Rainbow Alliance or no, the numbers just don’t stack up. Yet despite this coalition mine field the LibDems are in danger of developing tunnel vision, becoming so obsessed on the idea of coalition government that they fail to see the bigger picture and the Third Way. The reality is that the LibDems do not have the electoral mandate to be this important in deciding the hue of the next government. If the electorate had wanted the LibDems to have this power they would have increased the number of LibDem MP’s not decreased them. With no electoral mandate and no obvious coalition partner the LibDems should take a deep breath, take a step back and decline to form a coalition with either of the two main parties. Perhaps this will mean that they will not, in the short term, get Electoral Reform but in the short term Electoral Reform is unlikely anyway because the Conservative Party and enough Labour MPs just don’t want it. Instead what the LibDems can achieve by eschewing coalition government is the knocking of Presidential politics into touch and the dragging back of power to it’s rightful and constitutional home, Parliament. Let the Conservatives form a minority Government and allow Parliament to debate and scrutinise their policies. Get the power off the sofas and back into Parliament where it belongs. If Parliamentary debates actually have to persuade and each and every vote is crucial then people will pay attention. Increasing public engagement with politics, in particular the workings of Parliament, is more important than going for broke on electoral reform. Besides electoral reform has built up a momentum of it’s own and what better way to demonstrate how it could work than genuine Parliamentary Politics where persuasion, not a massive majority, is the order of the day. 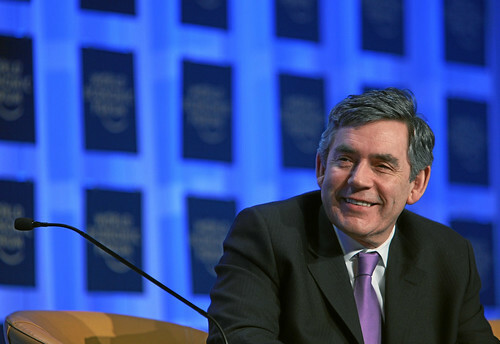 Why David Cameron can’t beat Gordon Brown. Gordon Brown has undoubtedly been an unpopular Prime Minister and it is accepted that a big part of this is due to the fact he can’t get his personality across via the media and/ or because his personality, well, just isn’t very nice. By contrast David Cameron hasn’t really had a chance to become unpopular with anyone other than the Conservative Parliamentary Party (over his handling of the expenses saga) and local Conservative activists (due to his parachuting in of candidates). What is going on? Despite the Conservatives focusing on the personality of Gordon Brown and comparing it unfavourably with that of David Cameron the polls continue to narrow. Surely they are shooting at an open goal, how can they miss? The problem for the Conservatives is that David Cameron’s being installed as leader was clearly a delayed reaction to the Tony Blair phenomenon. Delayed mainly because media friendly candidates who wouldn’t split the party down the middle just didn’t exist in the party. So after a succession of leaders who weren’t perceived as performing in front of the media ie Major, Hague, Smith and Howard the Conservatives finally plumped for a media savvy leader. Someone like that thorn in the Conservative side, that Tony Blair. They elected David Cameron. Unfortunately the recent appearance of Tony Blair at the Chilcot Inquiry has reminded the British Electorate that easy going charm, an ability to be at ease and communicate effectively in front of the camera does not necessarily a good Prime Minister make. In particular the British electorate really does not want another Presidential Prime Minister in the Blair mould. The Blair model for Prime Minister has been kicked into touch and the crowd won’t be throwing the ball back for a long, long time. So, if there is a politician despised more by the electorate than Gordon Brown then that politician must surely be Tony Blair and some of that “Blair Magic” may just have rubbed off on David Cameron. In contrast “Blair Magic” just can’t stick to Gordon Brown. Brown, if nothing else, is utterly immune and Teflon to “Blair Magic”. Concentrating on David Cameron’s personality vs. that of Gordon Brown has clearly not worked as well for the Conservatives as they hoped, in fact the signs are that this tack is rebounding on them. David Cameron has the air of a Presidential Prime Minister, although he would deny this it is evident. Evident from his treatment of parliamentary colleagues and local activists, his use of personal attacks and his calls for a Presidential Style TV debate. And that is without mentioning the notorious air brushed poster. So personality politics and media skills aside how do the respective CV’s of the candidates stack up? Unlike most job applications the candidates for the job of Prime Minister don’t have to provide CV’s per se however Wikipedia comes to the rescue as something of a CV approximation. (we can rest assured that a multitude of apparatchiks keep these Wikipedia entries accurate). Donald Trump’s International Golf Links’, the white elephant in the room. Aberdeenshire Council and The Scottish Government are desperate for Donald Trump’s investment as demonstrated by the overturning of the original planning committee's decision to reject the plans for the golfing resort and the current “last resort” threat of compulsory purchases on those residents who do not want to sell. It is not enough just to build it. However for Donald Trump’s International Golf Links to benefit Aberdeenshire and Scotland it is not enough just to build it. 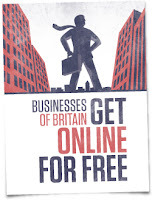 It needs to be a viable business in the long term otherwise it faces going the same way as the Aviemore Centre or becoming Scotland’s very own Millennium Dome. The white/ blue elephant. It’s the weather stupid! But Scotland’s existing links courses succeed despite the weather! Scotland is of course famous for it’s historic links courses for example St Andrews, Troon and Carnoustie. You could argue that these courses have been successful despite Scotland’s famously inclement weather and you would be right but when these courses were established hundreds of years ago they did not face global competition from courses with weather with a cast 5 iron guaranteed to be excellent. Leaving aside the obvious climate benefits of playing your golf in the likes of Florida, Spain or Bermuda lets look a bit more locally. Carnoustie is a Scottish championship course that appears geographically similar to the location of Trump International Golf Links. It’s on the east coast and not much more than around 60 miles away as the crow flies. From the map it does not look like it would be significantly colder than Balmedie but when you check the met office average weather data (from as close as possible) from between 1971 and 2000 Balmedie is on average a full degree colder than Carnoustie. It is not coincidence that the established Championship links golf courses in Scotland are not as far North as Balmedie. So why is the weather so important? Trump International Golf Links is a massive development aimed at the luxury international golf market. Apart from the housing developments it has a huge 450 bed luxury hotel. The occupancy rate for this massive hotel is going to be critical to the resorts success as, at best, the golf is going to be highly seasonal because, you guessed it, of the weather. But even in the summer months you may well get a sunny day in Balmedie but it will still feel cold, more often than not very cold. Will luxury golfers put up with the weather? The target market for this resort can play their golf anywhere in the world. If, as promised, it is a great course they may well visit but will they return after spending a week being frozen and sand blasted by the wind tearing in off the North Sea? You could go further that and say that the idea that people who can afford to to play golf anywhere in the world are going to choose to regularly do so in the teeth of a bitter North wind as it howls in off the North Sea with an accompaniment of sand, horizontal sleet, rain, hail and snow is frankly insane. Trump’s team couldn’t miss the significance of the weather. Could they? Now surely Trump’s team cannot have missed the significance of the weather. Just have a look at the sketch of the proposed hotel. "The continuous ribbon of balconies all the way round means that on occasion when the sun comes out in Aberdeenshire the hardier breed of golfer we are producing will be able to sit out in sub-zero conditions with a gin and tonic." National Bullying Helpline is as good as fake. The National Bullying Helpline came to polybore’s attention when the head of the organisation, Christine Pratt, claimed that she had been contacted by several members of Gordon Brown’s staff. This comes on the back of anonymous allegations made in a book by Andrew Rawnsley which is currently being serialised in the Observer Newspaper. Ok lets have a closer look at the impressively named “National Bullying Helpline “ Charity Number 1117852 and see what information the Charity Commission have them. There are a couple of stand out pieces of information provided by the Charity Commission.. Documents Overdue. National Bullying Helpline accounts are (as of writing) 206 days overdue for annual return 2008. In the year that the charity was founded (2007) it’s income was a mere £1818 and it’s spending £852. This is not a busy national charity. Not by a long stretch which probably explains why polybore has never heard of it. “over the last three or four years" the helpline had "probably received three or four calls". Judging by the financial activity of The National Bullying Helpline that is probably true. They have probably had three or four calls, period. It is highly unlikely that the three calls or four that they may have had in the four years of the “charity’s” existence were all from members of the Prime Ministers staff. Let’s have a look at the website for the organisation. For an organisation that claims to be “non-political” it is surprising to find a by David Cameron prominently displayed at the top of its home page. 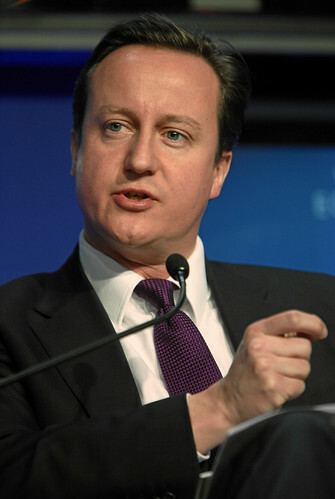 DAVID CAMERON MP: "Stamping out bullying in the workplace and elsewhere is a vital objective. Not only can bullying make people's lives a misery, but it harms business and wider society too. So I congratulate the National Bullying Helpline for its efforts to give practical support to those being bullied, and to make bullying a thing of the past". We never share your details with anyone else. All correspondence is confidential. Because of the fact that political figures associated with this charity seem to be all Conservatives, then perhaps, one might think that this organisation is not as “non-political” as Christine Pratt claims. 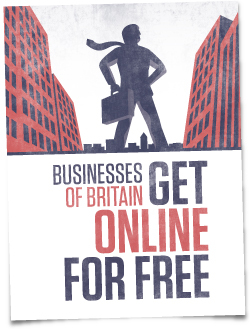 Not to mention the prominence David Cameron gets on the web site home page. Lastly. If you are a particularly Machiavellian in your thinking one might wonder if there was any significance in the “coincidence” of this “national” charity being founded in 2007. 2007 being the year that Gordon Brown became Prime Minister. and when claims of his alleged "bullying” and “Stalinist” behaviour first surfaced. The BBC Radio 4 program “Word of Mouth” broadcast 12th January 2010 and presented by Michael Rosen investigated lying. It’s strap line was “Does our voice change when we are trying to deceive?”. Part of the program included an interview between Michael Rosen and Richard Sheridan, managing director of Teceris Validation Services, part of the Capita Group. Teceris Validation Services provide software which Teceris claims analyses real-time telephone conversations and alerts the operator when a callers voice is, according to it’s analysis, exhibiting signs that there is a risk that the caller is lying. When this happens the operator, but not the caller, hears a tone on their headset. Lie detector tests are famously controversial because to date none of them, including the polygraph test used in the USA, have been able to be backed up by independent research. In this audio clip from the BBC’s Radio 4 “Word of Mouth” the first voice that you hear is that of Michael Rosen the second is that of Richard Sheridan, managing director of Teceris Validation Services. To be exempt from having a TV Licence while still accessing television over the internet you can only use on demand services such as the BBC iPlayer. If you are accessing live TV broadcasts you must have a licence. So unless Hannan only watches television provided on demand by ITV and C4 then it is most likely most of the TV he watches is produced by the BBC and delivered by the BBC iPlayer. Hannan’s constant winging about the BBC while he happily avails himself of the BBC’s content without paying for it smacks of hypocrisy.